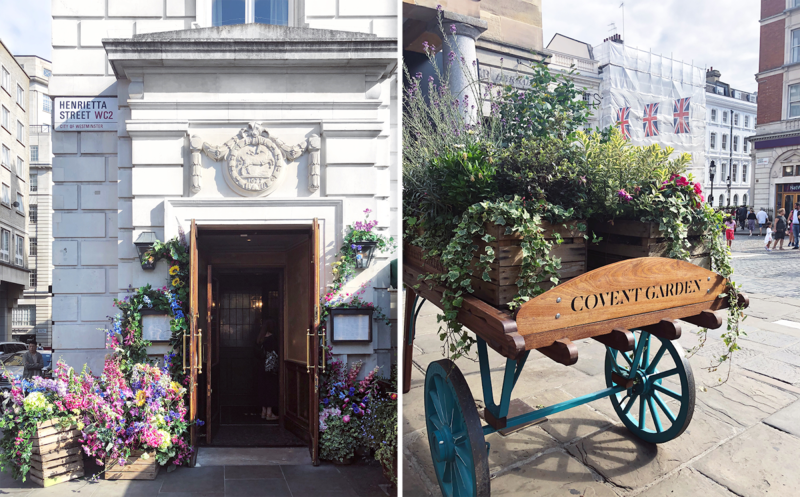 Every London-dwelling or -visiting soul has a few particular areas that hold a slightly more treasured place in their heart than others, and one of mine has always been Covent Garden. Atop those cobbled lanes I have celebrated multiple birthdays, eaten Shake Shack for the first (second, third etc.) time, seen the birth of two Build-A-Bears, huddled over mulled wine with a then-boyfriend while admiring the Christmas lights, had a fight with a different guy I had been accidentally in love with for multiple years in the scorching mid-summer sun, all the good stuff. It is riddled with street performers and you never know how dense the tourist population will be until you get there, but it reminds me of what I thought London was before I'd ever been here and I love it with all my heart. Unlike your Notting Hills and your Shoreditches it's the kind of area you more often than not accidentally stumble into, rather than consciously planning a visit, and that is precisely what I did on Tuesday. I spent Tuesday morning at the National Gallery like the absolute beacon of culture and sophistication I am, taking in Caravaggios and Monets alike. The first thing I saw when I walked in was an entire wall covered in paintings of Venice, so we were off to a grand start, and there were also some giant paintings of shipwrecks and ocean storms that I should very much like to have in my home. I chose a new favourite Van Gogh (FYI it's 'Two Crabs' - very in keeping with both my aesthetic and love of all things aquatic) and even traipsed through an entire extra wing of the gallery in order to hunt down Michelangelo, which was pure dedication because that whole wing was identical gold paintings of Jesus so I felt like I was in some sort of theological vortex. Also saw the Sunflowers which was particularly poignant having watched Hannah Gadsby's Nanette, but I digress. Back to me and my absolute goals cultural Tuesday morning. After wrapping things up at the gallery I went for a wander. My first stop was Goodwin's Court, which is meant to be very photogenic but the alarmingly sunny summer we are having is not conducive to good insty lighting and it was largely an unsuccessful mission. I also ran into an entire Harry Potter tour group, because it turns out that was where they filmed Diagon Alley or Knockturn Alley or something, so I was not particularly keen to stick around. What is truly magical, in my professional opinion, is how you can immediately detect American tourists both audibly and visibly from over 30 metres away. I was born there so I'm legally allowed to say that. Anyway, saw the wizard alley, might revisit on a darker day, photos not attached because they all turned out crap. Undeterred and with several hours to kill before I was meant to meet people in Soho for drinks, onward I marched. After discovering the Timberyard at Seven Dials was a third of the size of the one they closed in Soho and consequently rammed full, I decided to take my chances and head to a coffee shop that had been on my 'good instagram material' list rather than 'good cafes to work in' and headed to Neal's Yard. Walking into Neal's Yard always feels like accidentally stumbling upon some sort of weird fairy grotto/hippy commune/enchanted clearing that should have been blocked off from the public but was somehow left unguarded for the split second you managed to sneak in. Aggressively multicoloured and packed corner to corner with little businesses, cafes and shop fronts for the eponymous Neal's Yard Remedies, of course the one thing I had arrived to see was the single monochrome establishment in the whole yard. And buddy am I glad I showed up. 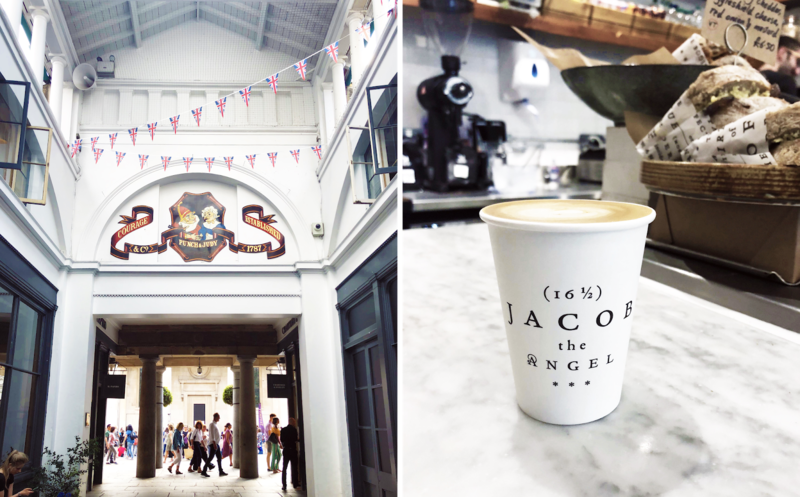 Jacob the Angel is one of those coffee shops you would absolutely imagine existing in some picturesque corner of London; a perfect little bubble of inspiration and ambience. Unfortunately, in reality those places are usually in a weird alley and/or completely rammed full of people with stressed out staff and an aura of panic that just makes you want to turn around and walk out, but this is a rare exception. Far from wanting to turn and leave, after one visit this is now one of my favourite places in the city. I'll take more photos when I go back and give you a proper rundown in another post, but it's right in the corner of Neal's Yard where people usually stand to take photos of the other multicoloured storefronts, and is the perfect combination of atmosphere and space. The interiors are cute and clean, and though the space itself is quite small it's very open and also has additional seating out front. I ordered my cappuccino, chose a table at the end closest to the open window and got to work. The entire front of the cafe (at least in summer) is completely opened up onto the yard, so I could see everything that was going on and enjoy the ambiance of being in that particular space, but also retreat back into my own head undisturbed in the comparative quiet. I sat in Jacob the Angel for an hour or so and ended up writing just over 1000 words of my book. That might not sound like a lot, but at this beginning stage when I'm still trying to get my head around things it's twice what I've managed on any other day, and I largely credit the atmosphere. After wrapping up a chapter I decided to fill my last couple of hours by heading towards the market, or the area most people would recognise as the centre of Covent Garden. On my way there I walked past an astrology shop, so I obviously ducked inside and picked up a crystal or three and some learning material re: the earth, moon and sun, before continuing my journey. I could walk through Covent Garden for hours. Granted, that would most likely require some walking in circles because physically it's not a particularly large area, but there are so many things to look at and shops to go into and buildings to take photos of that I don't even think about where I'm going or what I'm meant to be doing. There's an unpredictable mix of wide, bright streets and narrow, shady alleys; all of them cobbled, all of them worth a trip down. I spent a while just walking around and taking photos of the architecture and bunting and the massive amounts of foliage they've scattered around the place, and was really reluctant to leave when I eventually noticed the time. Admittedly once I realised I needed to hightail it out of there and back to Soho I did still spend another half hour accidentally browsing the shelves of Waterstones and taking slightly longer routes down shady tree-lined streets and pretty lanes, but that's what London is for. Before I moved here permanently I would visit every few months and saw this as a happy place to wander and explore, but then I spent two years running around, working 24/7 and just trying to get from A to B, and barely spent any time truly appreciating where I actually was, so I think I deserve a bit of free reign now that I'm back and unattached to a 9-5. In any case, it's hard not to get caught up in my own head when I find myself in Covent Garden because the mixture of memories I have of this place is so dense. Six or seven years of icy winter rain and blazing summer paving stones; Christmas lights and tension-filled stomping on muggy August days; the beginning and the end of my first proper relationship and a turning point in another. Intricate personal baggage aside, it's just very frickin pretty. 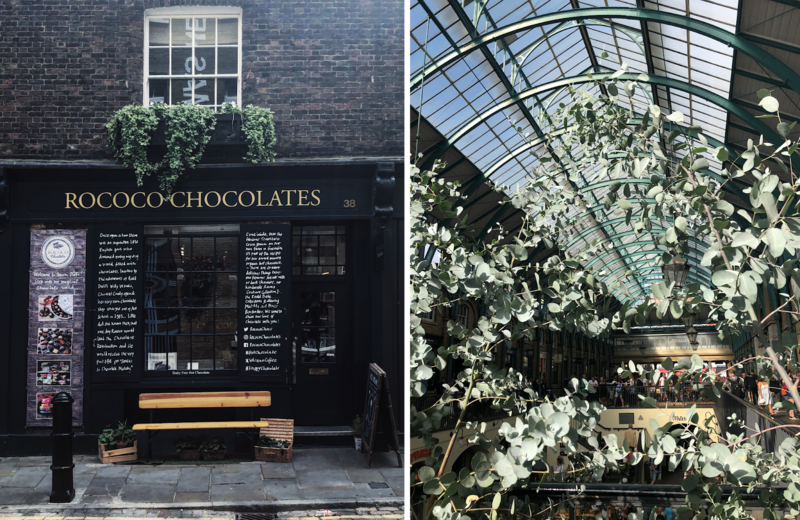 Whether you live in London or are just planning to visit, I recommend taking a trip to Covent Garden with fresh eyes and no particular agenda. I know particularly from living here that it's second nature to avoid the more touristy areas, regardless of what your own impressions of them may originally have been, but try not to be put off by the omnipresent street performers and just walk around. If you can bring yourself to head over early in the morning before the crowds set in (maybe on a weekend so you don't hit the hottest circle of hell aka peak hour on the tube) it's absolutely worth it - when the atmosphere is still the architecture seems a bit more grand and it's almost as though you could be existing in any time period; you can get a real sense of all the different layers of history that make up this one little corner of London. 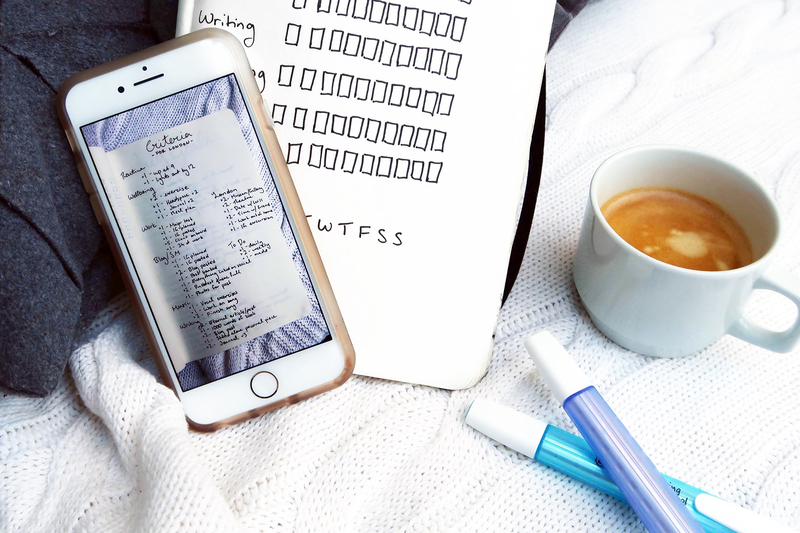 It's in the middle of the action so you won't be short of places to go or things to do once you've reached your exploratory limit, and it's just different enough that it might feel like a breath of fresh air and a reminder of where in the world you actually are. I could - and probably will - write an entire book about my love of Covent Garden, but I'm going to cut it off and get back to my coffee. Before I go, however, I would love to hear what your favourite parts of London are so that I can do a bit more exploring. Hit me up on socials or in the comments, and let me know where I should head next.